You have worked tirelessly to build a successful business, and it is an important asset to you and your family. 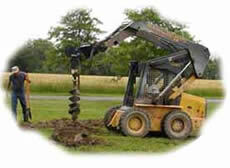 You may have invested a substantial amount of money in tools, equipment, and other assets. Properly insuring your business is an essential part of managing it; however, we understand how time consuming this process can be. We can save business owners time by meeting them at their place of business. DavidWise.com Insurance LLC represents several leading insurers of small and mid-sized businesses in the fields listed above and many others. We meet you at your location, at your convenience. Our service includes risk management and loss control, with a responsive claims service when the need arises.